Byrd Campbell continued to add to its stable of top lawyers by landing highly-regarded I/P trial lawyer, Steve Milbrath, of Orlando. Milbrath, who is double Board Certified by the Florida Bar in Business Litigation and Intellectual Property Law, brings decades of experience in complex litigation to the firm. 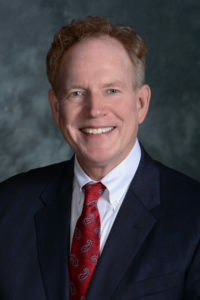 Steve is one of the top trial lawyers in Florida, a “lawyer’s lawyer,” who has the unique combination of intellect to handle complex cases, and fight to handle himself in the courtroom. Having been on the opposite side of cases, and knowing how formidable a trial lawyer he is, I am thrilled to have him join our side! The firm’s passion for tackling complex commercial cases on a contingency fee basis really resonates with sophisticated commercial clients these days. Knowing that cases can be taken to trial while sharing the risk of the outcome with the clients, frees a trial lawyer to be fearless in the courtroom. Steve will head the firm’s Intellectual Property Litigation Group and handle high-stakes commercial cases out of the Winter Park office.